You have no idea, really, of how profound this moment is for us. Us being the black people of the Southern United States. You think you know, because you are thoughtful, and you have studied our history. But seeing you deliver the torch so many others before you carried, year after year, decade after decade, century after century, only to be struck down before igniting the flame of justice and of law, is almost more than the heart can bear. And yet, this observation is not intended to burden you, for you are of a different time, and, indeed, because of all the relay runners before you, North America is a different place. It is really only to say: Well done. 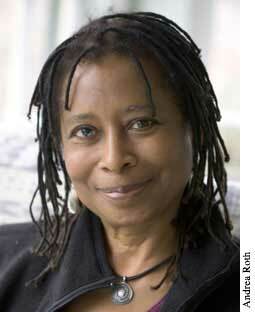 I know it’s been a few weeks since Alice Walker wrote her letter to Barack Obama and you posted it here. But I ran across this link to a series of videos with her that are great. Take a look. I think you’ll all enjoy them. Pingback: The Island Weekly » Blog Archive » Question: Why do you write? Why don’t you write?